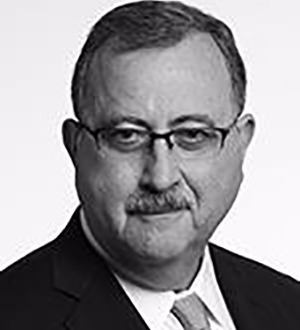 Sam Fifer, US co-practice leader of Dentons' Intellectual Property and Technologypractice, has extensive experience in the fields of intellectual property, and entertainment and media law, including litigation and counseling. In the area of intellectual property law, Sam has advised a wide variety of clients in the areas of trademark selection, registration, protection and enforcement. He has advised clients in creating and maintaining programs for identifying, protecting and promoting intellectual property within companies, including creating and promulgating incentive programs. He has counseled clients in negotiating, developing, drafting and implementing licensing and other contractual agreements and has counseled clients in connection with creating and implementing worldwide trademark registration and protection programs. He also has broad experience in litigating trademark matters, including ex parte and inter partes proceedings in the United States Patent and Trademark Office, as well as prosecuting and defending trademark infringement, anti-dilution and unfair competition claims in state and federal courts and in connection with Internet and domain name disputes, including WIPO UDRP actions. Sam has advised clients concerning the creation, maintenance and protection of copyright interests. He also has wide experience in litigating copyright matters, including prosecuting and defending copyright infringement litigation claims in federal courts. Sam has advised clients, including developers of computer software, in the area of protection of rights in technology and has drafted and negotiated agreements for the licensing and transfer of rights in technology. He has also advised clients in the area of trade secret protection and in connection with the drafting and negotiation of employment agreements, including covenants not to compete. Sam has worked with clients in numerous corporate transactions involving the transfer of rights in intellectual property and technology, and has advised clients with regard to the creation and maintenance of security interests in such rights. Sam Fifer, US co-practice leader of Dentons' Intellectual Property and Technologypractice, has extensive experience in the fields of intellectual property, and entertainment and media law, including litigation and counseling. In the area of intellectual property law, Sam has advised a wide variety of clients in the areas of trademark selection, registration, protection and enforcement. He has advised clients in creating and maintaining programs for identifying, protecting and promoting intellectual property within companies, including creating and promulgating incentive programs. He has counseled clients in negotiating, developing, drafting and implementing licensing and other contractual agreements and has counseled clients in connection with creating and implementing worldwide trademark registration and protection programs. He also has broad experience in litigating trademark matters, including ex parte and inter partes proceedings in the United States Patent and Trademark Office, as well as prosecuting and defending trademark infringement, anti-dilution and unfair competition claims in state and federal courts and in connection with Internet and domain name disputes, including WIPO UDRP actions.Sam has advised clients concerning the creation, maintenance and protection of copyright interests. He also has wide experience in litigating copyright matters, including prosecuting and defending copyright infringement litigation claims in federal courts.Sam has advised clients, including developers of computer software, in the area of protection of rights in technology and has drafted and negotiated agreements for the licensing and transfer of rights in technology. He has also advised clients in the area of trade secret protection and in connection with the drafting and negotiation of employment agreements, including covenants not to compete. Sam has worked with clients in numerous corporate transactions involving the transfer of rights in intellectual property and technology, and has advised clients with regard to the creation and maintenance of security interests in such rights.In the field of entertainment law, Sam has advised clients in the areas of motion picture, theatrical and television production and distribution, music, newspaper, magazine and book publishing and syndication and talent and employment agreements and advertising compliance and promotion law. In the area of media law, Sam has advised clients and handled precedent-setting litigation in the areas of defamation, rights of privacy and publicity, access to courts, reporters’ rights, subpoena defense and freedom of information. He also advises clients in the areas of pre-broadcast and pre-publication review. For twenty five years, Sam has been identified as among a select group of lawyers in The Best Lawyers in America in the field of First Amendment Law.